C-COM supplies auto-deploy satellite antennas to China. 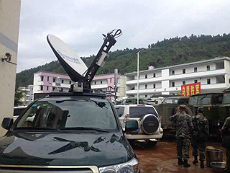 Ottawa, August 2014: C-COM Satellite Systems Inc., a leading global provider of mobile auto-deploying satellite antenna systems, has announced that a number of its iNetVu® antenna systems have been deployed to assist with communications during the recent earthquake in China. 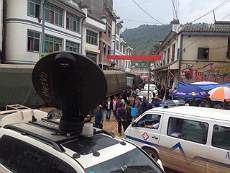 Unisat, one of C-COM’s largest resellers in China, and their customer, China Mobile, have deployed a number of iNetVu® mobile antennas in the earthquake affected region of Yunnan to re-establish cellular communications and provide emergency services. 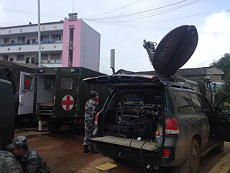 “We are pleased to be able to work with Unisat and be able to provide them with technology that, with the simple press of a button, can restore cellular communications and deliver lifesaving services to a disaster zone.” said Leslie Klein President and CEO of C-COM Satellite Systems Inc.